Dermontti Dawson, the All-Pro center for the Pittsburgh Steelers, was inducted into the Hall of Fame's 2012 Class after three years as a finalist. Dawson becomes the second University of Kentucky player to be inducted into the Hall of Fame, George Blanda was elected in 1981. 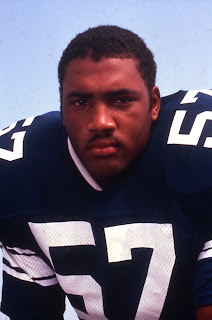 Dawson played for the University of Kentucky from 1984 to 1987 under coach Jerry Claiborne. He was named to the All-SEC team in 1984.